Corban Revell Lawyers has had a long standing involvement with the Business After 5 event. As the first business to host Business After 5 at their premises in 2008 we have seen this event grow in numbers and strength from year to year. In 2011 we wanted to become an official part of this growing event for West Auckland businesses and come on board as sponsors of a business event we were already so much a part of. Corban Revell Lawyers has been a community corner stone in West Auckland for over thirty years providing quality legal advice to business, residents and corporations from West Auckland and Internationally. “The Best of the West” is a motto we strive to practice and in doing so continue to maintain a strong community ethic of professionalism, service and quality. Feel free to contact any of our staff and let us show you how we can serve your legal needs. 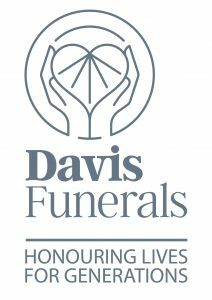 At Davis Funerals we believe in providing a funeral service that is special to you. To inspire you to do things your way, because saying goodbye to a loved one is one of the most personal and emotional experiences in life. We are proud of our high standards of service excellence and professionalism, and we know that our warm and personal style helps us to connect with families and provide the very best in funeral service experiences. Our vision is to surpass our customer’s expectations by going the extra mile in all of the services we provide. We are committed to inspiring and providing the very best funeral services that are designed to fulfil our customers’ individual needs with respect and integrity. We are proud to say that we are still family managed with 5 generations of the Little family guiding Davis’ commitment to our client families. Davis Funerals, 150 Central Park Drive, Henderson. Ph: +64 9 835 3557. KAAR (Kelvin Armstrong Auto Repairs) was established in 1994 on the Rosebank Peninsula, our reputation for excellent car servicing and repairs spread throughout West Auckland creating a demand beyond the Peninsula and, in 2011, KAAR Henderson opened in Waipareira Ave, Henderson. A year later we were approached by Mitsubishi Motors New Zealand (MMNZ) and KAAR Mitsubishi was born. West Auckland’s only Mitsubishi servicing centre, KAAR Mitsubishi West Auckland operates from 14 Te Pai Place, Henderson. KAAR is owned and operated by Kelvin & Karyn Armstrong. The needs of our customers come first. We know maintaining a vehicle can be expensive and that many of our customers know very little about how a car motor works. That’s why we pride ourselves on giving good and honest advice. Kelvin and Karyn personally put themselves in the public forum by attending, sponsoring and participating on business association boards giving back to the community. KAAR has won the West Auckland Westpac business awards twice proving KAAR has a good business model. MyHR is your complete HR department, delivering real easy software and real human support. We believe every organisation, not matter how large or small, should have access to quality and affordable HR support. We uniquely combine our innovative software with a team of high-quality, real humans to deliver an HR service like nothing else in the market. MyHR is delivered for a single, low monthly fee with not service limits and no lock-in contracts, making us the most cost-effective full-service HR support available. We cover every size business from 1 employee to 2,000 and work in every industry in New Zealand. Solve all your employment issues, join the HR revolution. We are really proud to sponsor and to be part of the West Auckland Business Community. West Auckland is our home turf and is the birth place of our business, which started in 1999 as Prestige Clean, we are now evolving as a service and facility management Company We are predominately commercial cleaners, specialising in small business needs. A few of our services are on demand and we are also available for residential demographics. Our quality positions us at the mid to top end of the service industry & we are a catalyst of change in the service industry. Everyone involved in our business is clear about the importance or reliability, consistency and our trusted positioning with our customers. Our world class systems simplify our operations & procedures for us & our clients. Our associated community understands our offering & client focus. 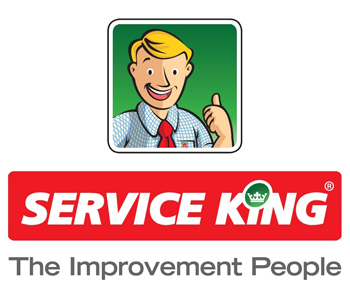 We are a customer centric company and redefining service. Our coveted positioning as a one stop shop makes it easy and convenient for people to deal with us. Our customers really appreciate the welcoming experience and the personal, friendly and informed assistance they always get. Our processes are easy, our prices are fair and our service standards leave a lasting experience. Our loyalty system, activities, and how we do it bind our customers to come to us for more. We can be their first point of contact when they are looking for anything. 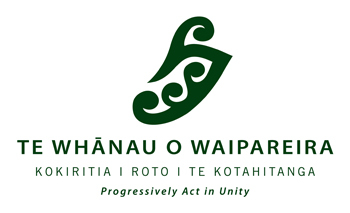 Waipareira is an Urban Māori Authority that has been serving the west Auckland community since 1984. We offer advocacy, thought leadership and services that encompass Justice, Social Service, Education and Health. As a nationally and internationally recognised provider, we offer whānau pathways ensuring that they are at the centre of what we do. This unique approach, shaped by Te Ao Māori, empowers whānau to choose their own direction and outcomes. Whanau House, in the heart of Henderson, is a one-stop service shop. Located across from the West City Mall, Whanau House houses a GP clinic, pharmacy, physiotherapists, Smile Dental, an acupuncturist and Waitemata DHB secondary services, along with the Waipareira services and staff. Whanau House is also home to Te Pou Matakana, the North Island Whanau Ora Commissioning Agency, Maori Public Health provider Hapai Te Hauora, Drake Personnel and a Ministry of Social Development. Across from Whanau House, on the Corner of Catherine Street, is the Waipareira IT Hub – Whanau Tahi. Whanau Tahi is owned by Waipareira and develops software and IT solutions. Waipareira is governed by a Board of Community representatives. The Chair is Raymond Hall. Waipareira is fortunate to have at the helm CEO John Tamihere, who is connected personally to the west – where he was born and bred – and politically, serving six years as a MP and Cabinet Minister. While delivering whanau services and support to the west is at the core of Waipareira, the organisation also advocates strongly on behalf of the community we serve. UHY Haines Norton is a Chartered Accountant and Business Advisory practice providing quality accounting, tax, audit and specialist financial services to individuals and businesses in all types of industries. Our beginnings date back to 1955 in a semi-rural Henderson and after more than 60 years this location remains our head office. We also have offices conveniently located in Kumeu, Helensville and the Auckland CBD, and work with clients throughout the length of New Zealand. We believe in adding value, not cost, and pride ourselves on working closely with clients to help them achieve their financial goals. No two businesses or individuals are alike, and we tailor our services to each client. Navigating the financial complexities relevant to different industries can be an ongoing challenge. We use our broad industry knowledge and experience to help clients to meet their compliance obligations while maximising growth opportunities. We’re proud of the long-term relationships we have with many of our clients who have worked with us for years through different business and life phases. We assist everyone from sole traders to SMEs to large, multinational corporations. Whether you are an individual, partnership, company, trust, estate or not-for-profit organisation, you are the pivotal part of our team: our key for unlocking and growing your potential. Quite simply, your business is our business. 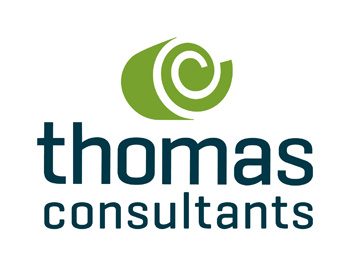 Thomas Consultants is a New Zealand owned multi-disciplinary consultancy based in Auckland and Tauranga. Our award-winning team includes land development consultants who can assist with subdivision and much more. If you need assistance with feasibility and planning or anything else related to the land, contact us. Since being established in 2000 we have built a reputation with property owners, developers, community-based organisations and local government for being approachable, dependable and professional project-partners. Our approach is based on using our experience and expertise to enable your developments to proceed with ease. We can translate complex information and processes to make them easy for you, regardless of the scope of the project. We also understand the importance of strong communication and great working relationships. In short, we speak your language and we can be trusted to get it right. Something central to the Thomas Consultants’ way of working is our commitment to delivering our services in a socially and environmentally responsible way. Along with our ability to tackle a wide range of infrastructure projects, it’s one of the things that makes us, us. This is also a quality you can expect to see reflected when we partner with you on your project, big or small. WestCity Waitakere offers relaxed community shopping and entertainment in the heart of West Auckland. We have over 130 stores ranging from fashion, gifts, homeware, food and a community gym. Along with major retailers Countdown supermarket, The Warehouse, Farmers department store and Event Cinemas, WestCity really does offer a one stop shopping and entertainment experience. Plus, we offer free Wi-Fi to all our shoppers, so you can stay connected while you’re here. WestCity is a regional shopping centre located in the heart of Waitakere within Henderson’s town centre and forms part of a significant retail, commercial and community hub with neighbouring properties. We’re well connected by a great public transport network and we offer over 1,400 carparks. WestCity is a family friendly shopping centre so bring the whole family as we have something for everyone, including a children’s play area and parent’s rooms. Shop to your heart’s content, then enjoy a tasty treat or family feast at one of our many casual dining options. After enjoying some retail therapy, relax and treat yourself with our range of health massage and beauty stores. Or sink back into the comfortable reclined chairs at Event cinemas boasting one of the largest screens in Auckland as you catch up on the latest blockbusters. We’re passionate about creating a shopping experience that’s uniquely West Auckland while embracing our beautiful backyard – the Waitakere Ranges. So, come along to WestCity and celebrate everything that’s great about being a Westie. See you soon #West is Best.